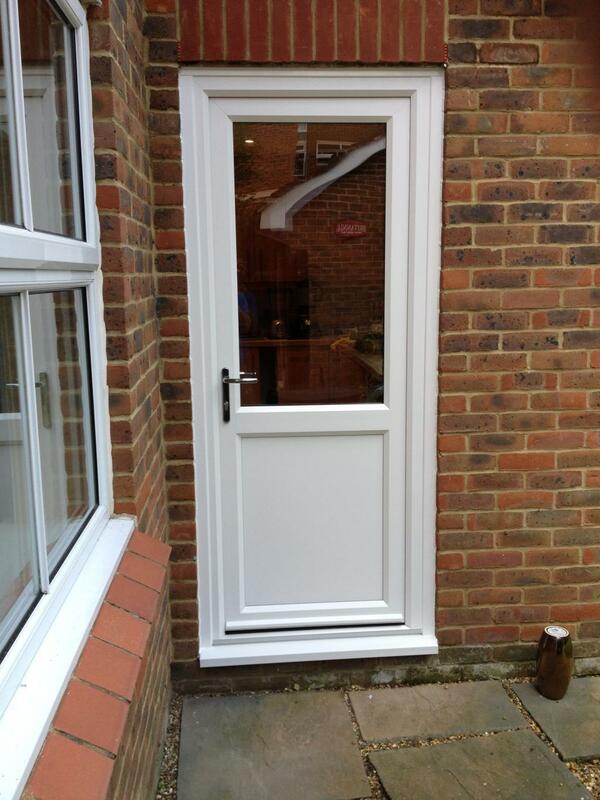 Our range of uPVC doors all come with solid door slabs, durable hardware, a great choice of colours. This range of colours includes white, white woodgrain, cream, oak and black. They also come with low anti-trip thresholds, which is also ideal for people with prams or wheelchairs. One of our team will be more than happy to tailor the colour, hardware, threshold details and overall design to suit your home and budget. Our customers generally organise an appointment at their property to measure everything up followed by an appointment at our Maidstone showroom to comb through the finer details. 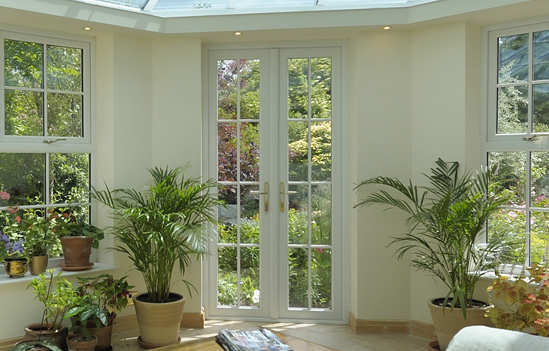 There are many different uPVC doors to choose from out there. As with any other product out there, whether a car or domestic appliance, there are many variants that affect the quality, durability and price of uPVC doors. We are always more than happy to explain these differences and demonstrate why our uPVC doors really do the job. 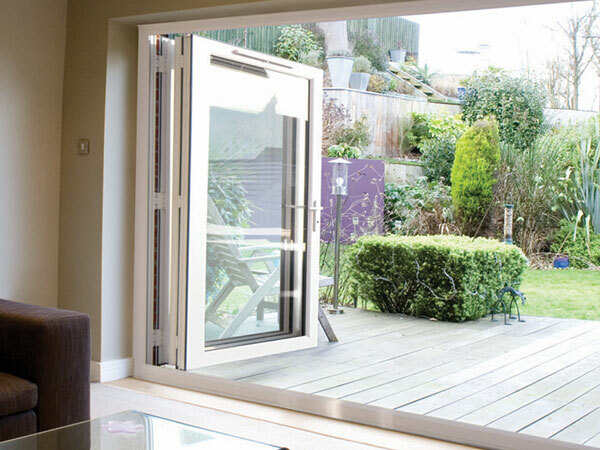 Our customers’ uPVC doors feature thick and sturdy door slabs, the latest multi-point shootbolt locking mechanisms, low anti-trip thresholds and a thermally efficient multi-chambered uPVC profile. For some of our customers, we have also designed decorative, leaded, georgian bar and coloured glass in the glazing. For the glazing in our uPVC doors, we use the latest Saint-Gobain double glazed, argon-filled sealed units with the latest black warm edge spacer bars. Moreover, as with all of our other products, all of our products come with a full 10 year insurance-backed guarantee to give total peace of mind with any purchase. This covers the product from discolouration, the handles and hinges, plus the installation and everything else except, of course, accidental damage. We install our uPVC single doors most commonly as a front or a back door. Our customers tend to put decorative glass and moulded panels on their front doors. They tend to choose top to bottom glazing or half glazed with a panel in the bottom half and glazing in the top half. We can design you single door to open inwards or outwards, with low thresholds for easy pram access and can make the single doors a metre wide for easy wheelchair access. 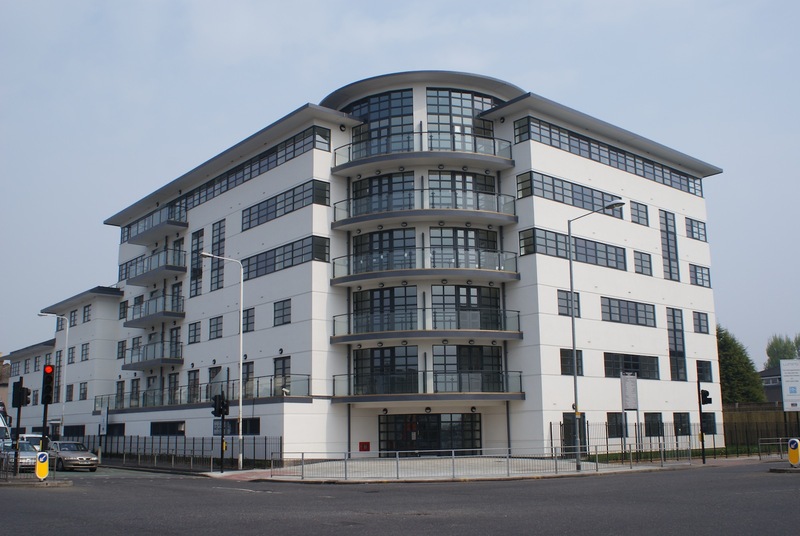 Foiled uPVC commercial windows and doors with bars in an Art Deco masterpiece in Chadwell Heath. Our uPVC double doors or ‘French doors’ as they are more popularly known, allow our customers to ‘open up’ the back of their properties, bringing the outside inside more than a single door does. Despite fantastic sliding doors and the more-recent advent of the bi-folding door, French doors are still a very popular choice for our customers. In some cases, when when the aperture for the new doors are too wide for double doors without adding side panels, sliding doors are the right choice. As they can go wider whilst still keeping 2 panes, achieving a better frame to glass ratio. In other cases, the fact that they don’t encroach on any inside or outside space during operation is very appealing. Some customers simply prefer the operation of our uPVC sliding doors. 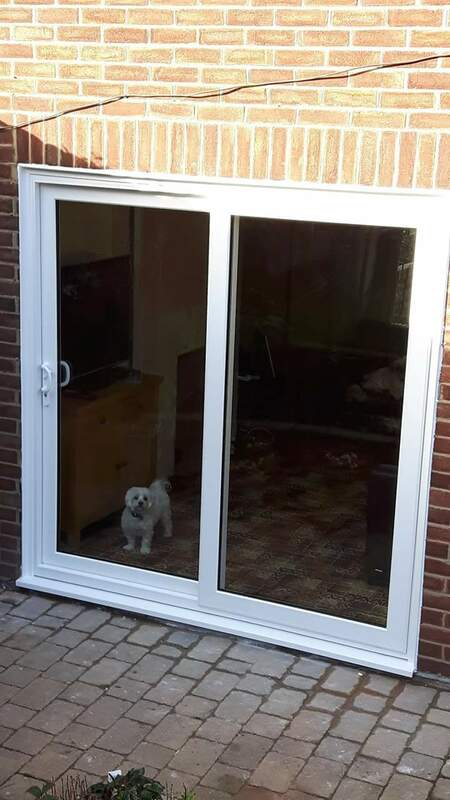 uPVC sliding doors really refreshed this home in Kent. To bring the outdoors, indoors. 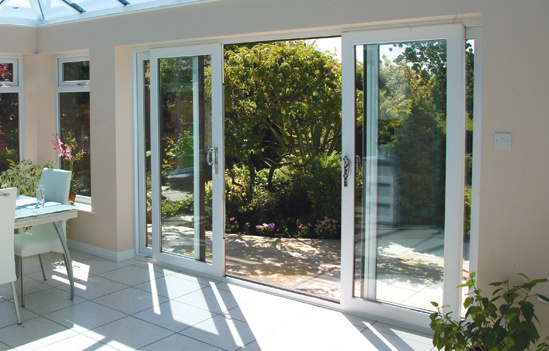 Bi-folding doors are perhaps the greatest recent innovation to hit the UK market. Both for entertaining and creating a feeling of space, many of our customers love the idea of bi-folding doors. There are many different configuration and colour options which one of our team would be happy to go through with you to make sure you choose the right doors for you and your property. At our showroom, we have installed uPVC doors for all of our customers to try and test the doors before making any decisions. When choosing the front or back door for your home, we like to present all of the design, colour and hardware options so our customers know exactly what they’re ordering before they do so. This is why we have invested so much time into designing our head office and showroom in Queenborough. We’re at Unit 8, Queenborough Business Park, Queenborough, Kent, ME11 5DY.